Welcome to the move in ready Wellington Ranch Floor Plan in Lost River! Pull into the driveway that has been stamped and stained for an extra high-end decorative touch. There are so many great desired features! 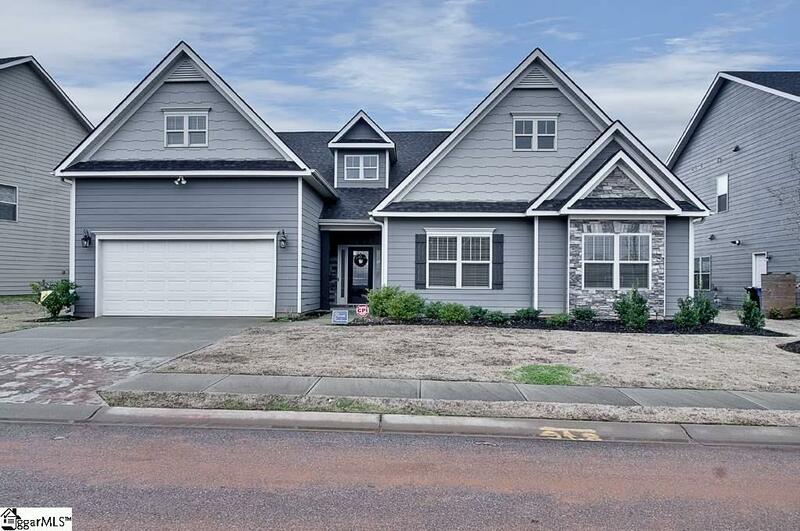 You dont want to miss this opportunity to have an open floor plan with 3 large bedrooms and 2.5 bathrooms on the main level, as well as a bonus room and 4th bedroom with full bath and walk-in-closet on the second floor. Come inside through the 12 light insulated fiberglass front door with sidelights into a wide entry. 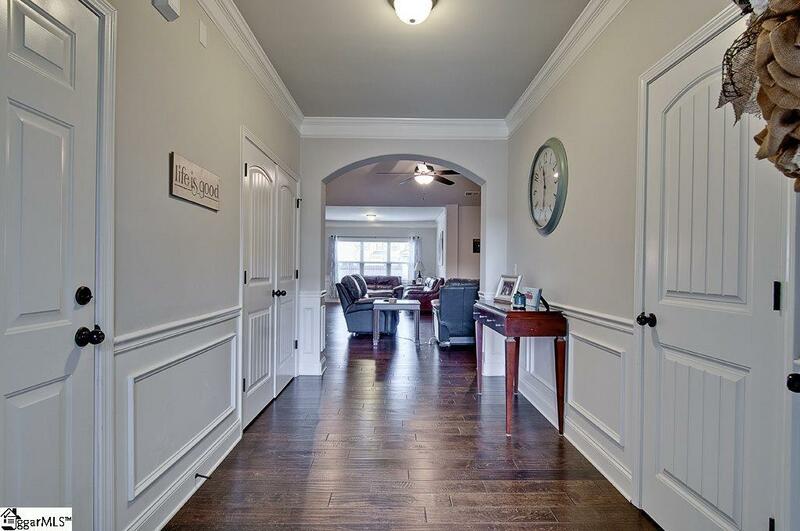 Upon entering you will see the 5 Hand Scraped Engineered Hardwoods flow throughout most of the Main Area of the home that include Foyer, Powder, Great, Dining, Kitchen, Breakfast, & Morning Rooms. Each room has high visibility from all corners of the main living area, great for entertaining or just being able to be part of conversations. Large open Floor Plan with high ceilings stretch into the Great room with the Stack Stone Fireplace that features a gas starter with wood burning insert, and raised Hearth. A Floor Outlet for easy furniture layout options, 4 recessed cans that allows you lighting options not to mention a Hunter 70 Ceiling fan, recently installed. The Kitchen countertops are adorned with Colonial White Granite with Decorative Montreux Gris 4X4 angled tile backsplash. The stainless appliances are Whirlpool, with a 5-burner gas range that has a Hood Vented Directly to the outside, Convection oven, built-in microwave and Dishwasher. In addition, there is a trash bin pull out, Princeton 42 Upper Walnut Cabinetry with Crown Molding, and custom picked 4 Pendant Lights above the oversized island that also provides extra seating and a custom Light in the Breakfast Room. Another great feature is the Sun/Morning Room just off to the left of the Great Room and extension of the Kitchen Breakfast Rooms. 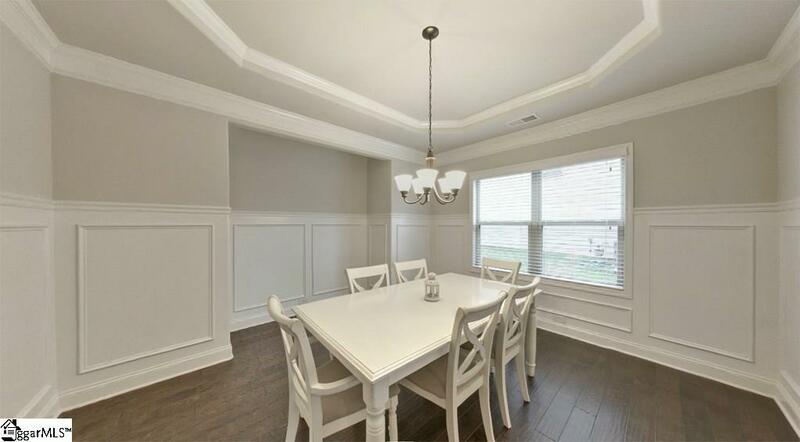 If you want to entertain formally there is a 15x12 dining area with picture & crown molding next to the Kitchen. The 18x16 Master Bedroom has a tray ceiling and is your Oasis that has a 13x12 sitting room with a chandelier, plenty of places for your bed and furniture. The owners added a 52 Hunter Fan along with Curtain Rods and Curtains. The Master Bathroom has Separate Vanity Areas, Tiled Shower with new upgraded shower head & Shower seat, 40 Tile knee wall that encompasses the large Garden Tub. The Walk-in Master Closet is divided into 2 different large areas. Some other items that owners have added in this well-kept home are the Nest products (2) Thermostats, Nest Protect and Nest Hello video doorbell. No need for the expense of Blinds they have been installed. Recently installed Ceramic Tile in secondary Bathrooms and Laundry Room. Also, the owners installed a 52 Hunter Fan in one downstairs bedroom, upstairs Bedroom and Bonus Rooms. The Bonus Room also has new 5 Hand Scraped Engineered Hardwood floor. Outback of the home there is a 6 Wood Fence, a stamped concrete covered patio with a gas fireplace, a privacy/sun shade, with a newly installed Ceiling Fan. The garage has had an epoxy coating put down, there is a garage door opener, room for storage along with 3 extra receptacles for many charging options. The home is crowned with 30 Year Architectural Shingles and ready for the long haul to protect your home. 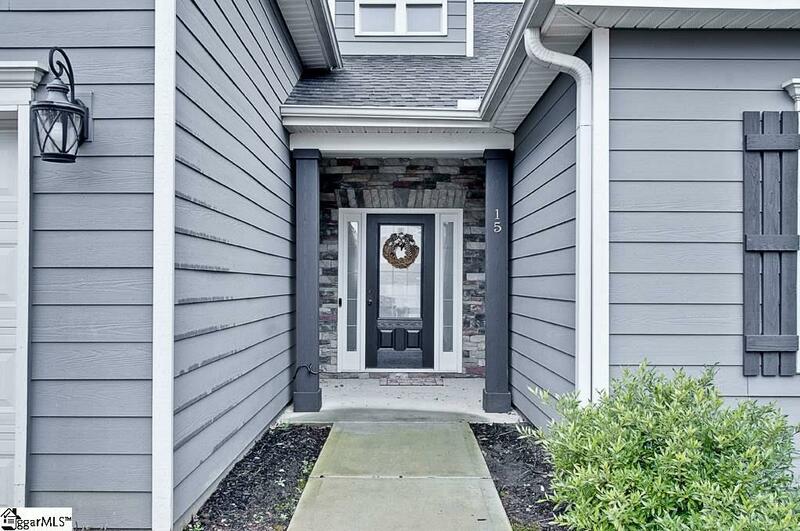 When you live in Lost River you have access to a fantastic pool, oversized pavilion with stacked stone wood burning fireplace, tennis courts, playground and trails. Great Location convenient to Doctors, Hospitals, Shopping, Eateries, the Southside Park, Discovery Island Water Park, and Heritage Park, not to mention 385 and 1-85 for easy on/off business commutes.